Decorate this toddler ruffle t-shirt for your special little girl today! 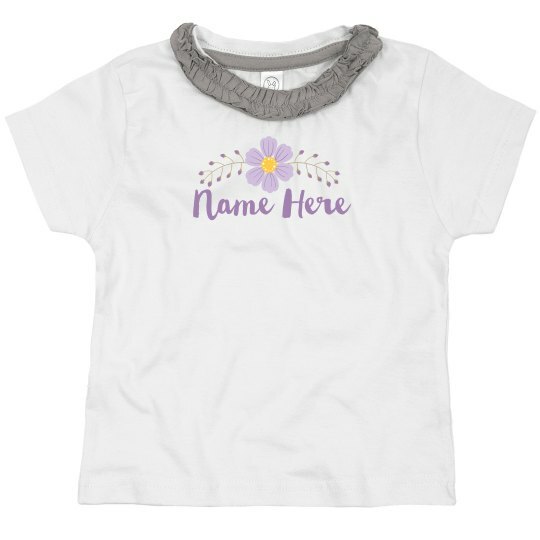 Personalize it just for her by adding her name under the pretty purple flower graphic. This is a gift idea that is perfect for birthdays and best friend pictures. Be sure to pick a few up today!